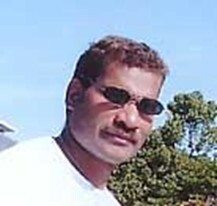 My name is Jeffrey Houpara Aremaesena,age 34 from the island of Malaita in Solomon Islands. Currently iam doing a teacher training program at Chiba University,Japan. I came in October 2005 and this is my 8th month here in Japan.I was really supprised and confused to see many new things when i first arrived as i did not have much available information about Japan before coming to commence with my study. I hope this could be a same case with most Solomon islanders due to lack of accessibility of first hand information about the industrialised country of Japan.However, today I am glad indeed and wish to say a word of appreciation to the Japan-Solomon Friendoship Association to come up with an idea of creating a wibesite,a venue which will be of a great help to Solomon islanders as any needed and latest information of the development about Japan can be viewed and accessible to our people. As a Solomon Islander,i believe creating such venue is of vital and timely for our people to know more and maintain our cordial relationship with Japan as one of the great aid donar countries to the most infrastructure development in Solomon Islands in the last few years. 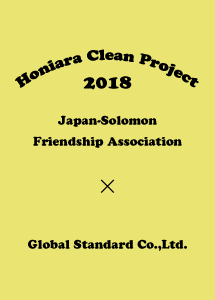 Therefore, may i kindly congratulate the members of the Japan-Solomon Friendoship Association for creating this venue and also happy reading to any citizens of Japan and Solomon Islands who may have an access to this Homepage.